Late one night, I decided one of my hallways needed a facelift. Anyway, since all sane people paint at 10:30 pm, I was ready to go. 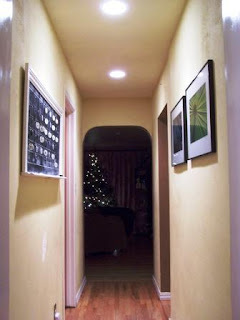 I last painted this hallway - which is a thorough fare in my home - 6 years ago...it was so time for a facelift! 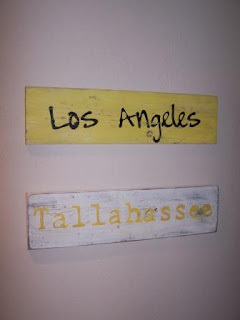 The house is in a constant state of flux as it is...but I am really wanting some fresh paint on all of the walls. 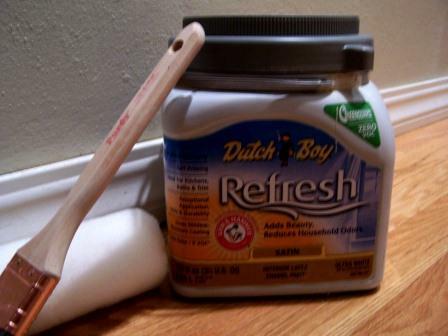 I had some Refresh Paint from Dutch Boy all ready and waiting for me. 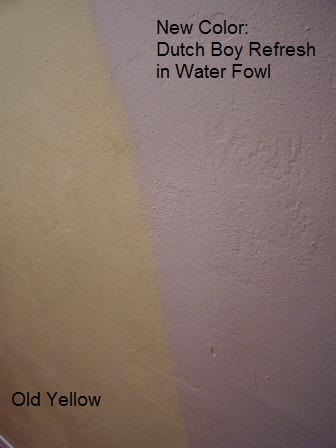 The color is a gorgeous neutral shade called Water Fowl. As soon as I tested it on the wall, I knew I selected the right color. It is extremely hard to get a photo of this hallway to show you the total transformation. Just trust me - it looks amazing! 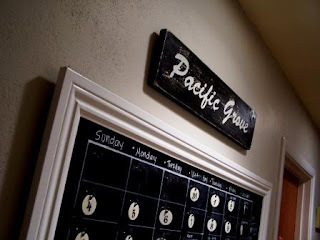 The perfect spot for my Family Command Center and sweet signs! You can see the full tutorial over a The DIY Club! 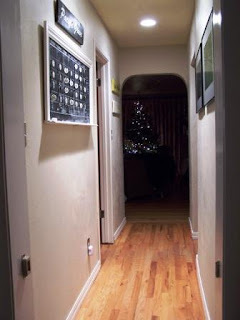 just made me realize how badly this hallway needed a little love! Disclosure: Some products provided through The DIY Club. Opinions, an projects are my own. 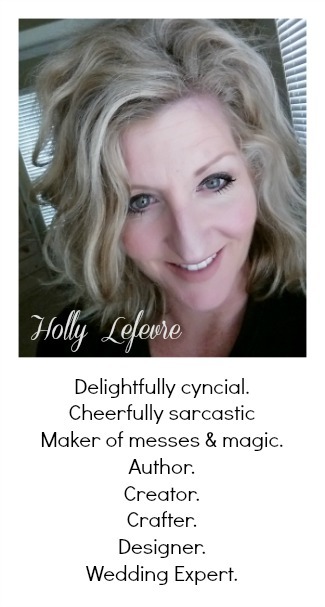 See my full disclosure by clicking in the top Navigation bar. Looks great! I love the new color! When you have kids, sometimes it's just easier to do things late in the evening after they have gone to bed. I remember when my husband and I tiled our laundry room. We started as soon as the kids were in bed and finished around midnight. Ah! I love seeing the signs hanging up! 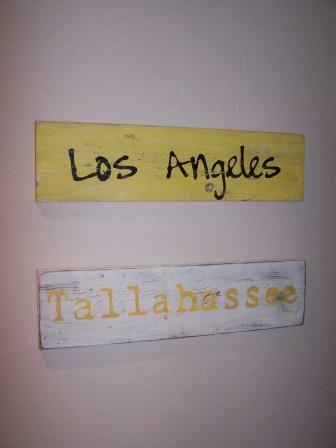 So glad you liked them :) They look beautiful in your hallway and I love that paint color!!!! Sharing this on my facebook page! Hey, if I can iron and wash the floors at 10:30pm, you sure as heck can paint! Looks great BTW. Wanting to paint badly. My bedroom is driving me insane.